The passing of Islom Karimov, the first president of independent Uzbekistan, in the late summer of 2016 raises important questions for the whole Central Asian region and for those who study it. 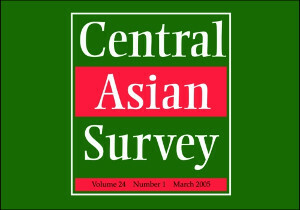 Amid the clamour of media coverage about prospects for change under the leadership of interim President Shavkat Mirziyoyev—some of it resorting to clichés that have been well-critiqued in the pages of this journal—this Forum provides the opportunity for a longer and more nuanced view about the contemporary shape of the ‘Uzbek model,’ how it works, and how it is lived. Editors and journalists from the Justice for All monthly legal bulletin face charges under criminal defamation laws and, if found guilty, might see their publication closed. The second major libel case against the Kyrgyz press will be heard on July 29 in Jalalabad city court in southern Kyrgyzstan. Only today, the editor-in-chief of another popular opposition newspaper, De-facto, charged with publishing deliberately false accusations against a city official, appeared in court. Print-run (2,500 copies) of the independent newspaper Alkak was arrested in Bishkek, the capital of Kyrgyzstan, this Wednesday. The Bishkek police say the issue included a piece of religious-extremist nature. The editorial office in its turn maintains that the issue included no articles on religious matters. The Uzbek Press and Information Agency closed Odamlar Orasida or Among People, a popular weekly specializing in religious matters and enlightenment. "Dishonorable Alliance In The War On Terror?" is the title of the article published on MSNBC.com. 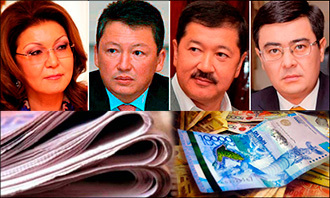 NBC journalists laid hands on an FBI report claiming that the family of ex-president of Kyrgyz Askar Akayev ran an extensive international criminal network that included several American companies. Judging by the report, investigation turned up 175 objects connected with Akayev's organization. Investigation of Akayev's activities led the FBI to the territory of the United States where the Akayevs maintained contacts with "a certain US citizen known as founder of more than 6,000 American companies used by the underworld for the purposes of clandestine arms deals, traffic, and computer fraud." Uzbegim, a Moscow newpaper in the Uzbek language, was founded in late summer 2005 . This is a unique publication with information necessary for labour migrants from Uzbekistan in Moscow and the Moscow region. Construction sites and market places, restaurants with national cuisine and housing and communal offices in "sleeper" areas - these are but several spheres employing labor immigrants from Uzbekistan. After almost one year of operation, the Committee for freedom of speech and expression (Uzbekistan) is pleased to announce launch of the English version of its website Arena (Freeuz.org). The attention of the Uzbek media remained glued to two major issues last week - the forthcoming parliamentary election and cotton harvesting campaign. Most articles in newspapers were centered around them. "The situation with the media in Uzbekistan is absolutely different from that In Russia. So far as I know, some international organizations specialize in criticism of the Uzbek media, viewing local newspapers and TV networks as conduits of the policy of the president and government he controls. 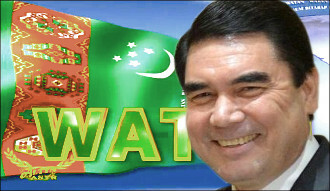 Uzbek newspapers, TV networks, and radios may be somewhat restricted in the range of subjects they bring up but, thank God, they are not spoiled by elements of lopsided democracy - democracy of distorting mirrors when everything is permitted even when it collides with common sense and harms interests of society and the state."